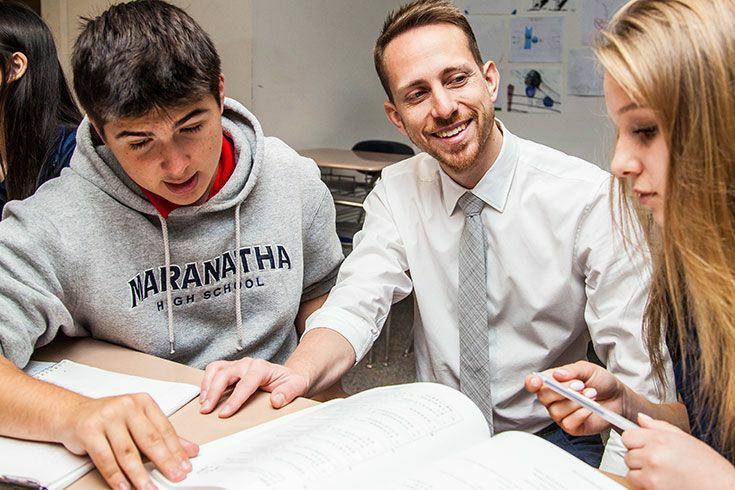 Maranatha High School promotes a rigorous academic curriculum for students who are committed to the challenges of a college preparatory program. 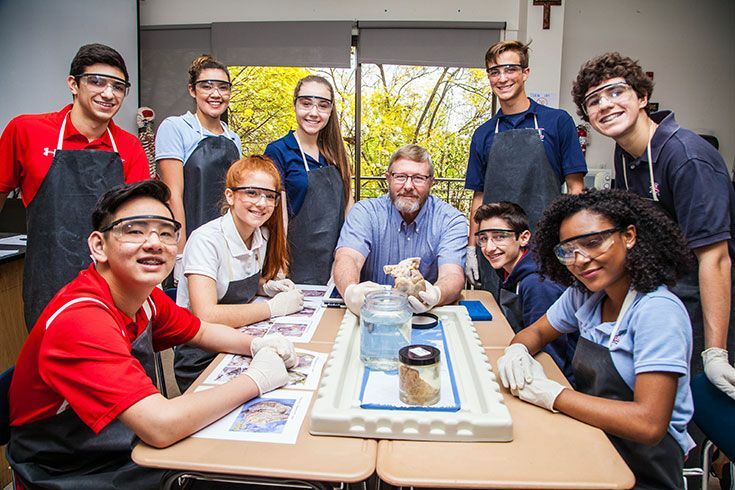 With over 100 courses offered in ten different departments, our students are challenged daily to develop their intellect through academics and to make a positive impact for Jesus Christ in our community. The thrust of Maranatha’s mission is to serve as partners with parents to achieve their goal of ensuring that their students receive a quality college preparatory education in an intentional Christ-centered context. 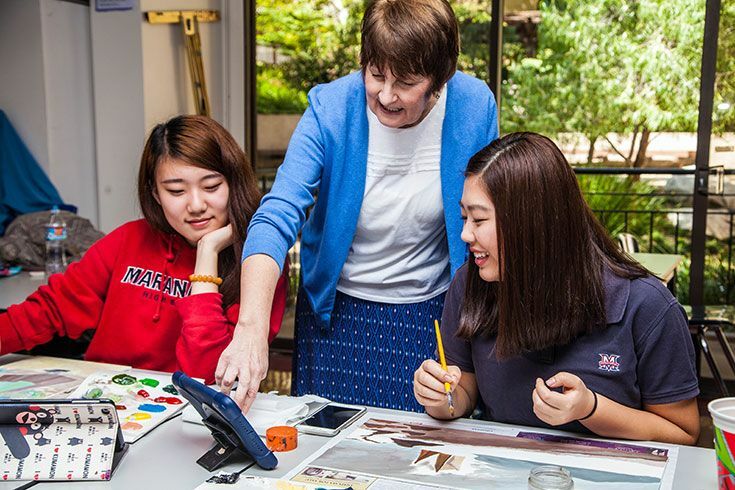 Recognizing the ever-increasing importance of digital technology in the lives of students worldwide, Maranatha High School is one-to-one school utilizing iPads for instructional and digital support. 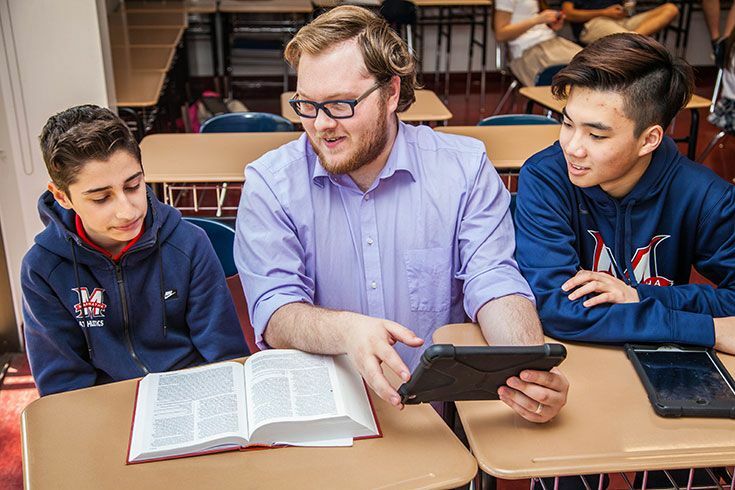 Maranatha students not only read their textbooks on their iPads, but engage in dynamic digital learning across the curriculum both in and out of the classroom. The real-time feedback provides diagnostic data to teachers that result in differentiated instruction opportunities for accelerated learners and remediation opportunities for skill advancement where necessary. The goal is for student learning to increase as instruction becomes more individualized. As a place of distinction in the Pasadena community, Maranatha High School is recognized by accreditation teams for its multiple Advanced Placement (AP) and Honors level courses that prepare students for university and college level pursuits. Students have the opportunity to take 20 different AP exams and Maranatha boasts a 75% pass rate. The College Board honored 99 Maranatha students as AP Scholars in 2017. Maranatha is also proud to announce that our SAT scores have continued to increase over the last three years with an average 2170 SAT score, for the top 10% of students. Maranatha's caring faculty pour their lives into our students. They consistently bring new teaching modalities into the classroom to engage our diverse student body in the subjects they are so passionate about. Maranatha's College & Guidance Counseling Department starts meeting with students before their freshman year to develop a plan to help students identify the best college match for them. At Maranatha, each student is celebrated as an individual.